Elegant POCA & POCA women’s capes are a collection of 33 exceptional outer garments that women all over the world have already loved. The collection was inspired by the charm of flowered gardens, combining timeless simplicity with original accessories. 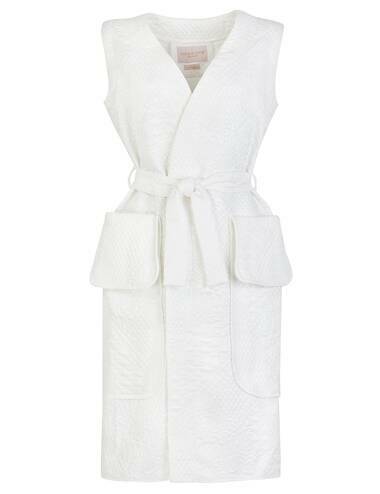 POCA & POCA women’s capes are perfect for a walk, an elegant outing with friends, a date, a banquet or a festive dinner. They are stylish alternatives for coats, cardigans, jackets, sweaters and vests, they wrap you with pleasant warmth on cooler days and evenings. 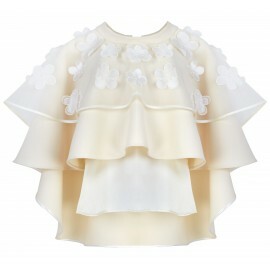 Inspired by the nature, POCA & POCA women’s capes bloom with the buds of the most beautiful flowers. Delicate mists of embossed fabrics with subtle shimmer exude sophisticated beauty and correspond to fashionable colours: white, cream, mustard, cobalt, navy blue, grey, black, silver and gold. The simplicity of cuts is broken by lovely accessories. 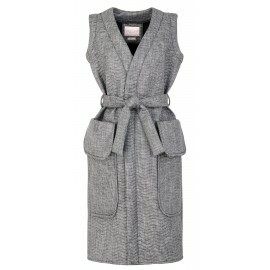 Fans of minimalism can opt for women's capes with buttons or long vests with a belt at the waist and large pockets. Followers of fashion hits, in turn, can choose sophisticated fur capes that bring to mind the buzz of bumblebees over a spring meadow, or women's boleros and capes with flounces that delight with the ethereal nature of tulle and embroidered flower petals. The collection includes also a long, fitted denim cape with short sleeves surrounded by frills intended for the fans of the jeans fashion. 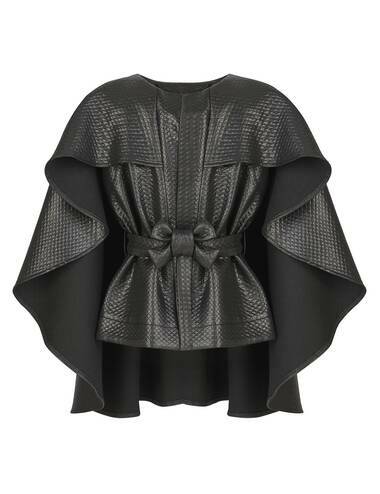 The exceptional garments that are part of the POCA & POCA offer are also women's capes with ruffles, a bow at the waist and loose folds cascading from the shoulders. These sophisticated, long boleros will add chic to jeans or cigarette pants, and combined with an elegant skirt or pants, they will create a sophisticated evening dress. Depending on the colour of the fabric, they will also allow you to look innocent, elegant, glamorous and even slightly predatory. The fascination with nature, in which there is eternal harmony of lines, shapes and sizes, has helped us create phenomenal cuts of POCA & POCA capes, friendly to the female figure. 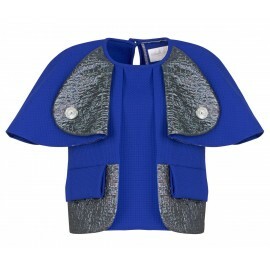 POCA & POCA women's capes perfectly fit the female figure, emphasising its greatest strengths. 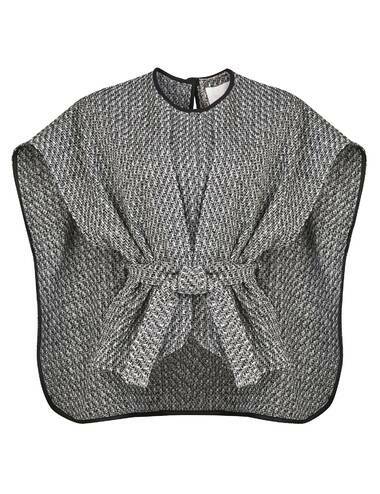 Capes with bat sleeves are not only very comfortable and lightweight, but also optically expand too narrow arms. 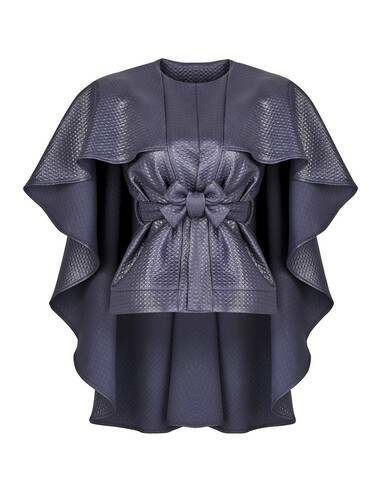 Women's capes with ruffles and fitted waist will win the heart of every woman with hourglass figure, as well as those who would like to highlight their waistline or cover up their tummy. 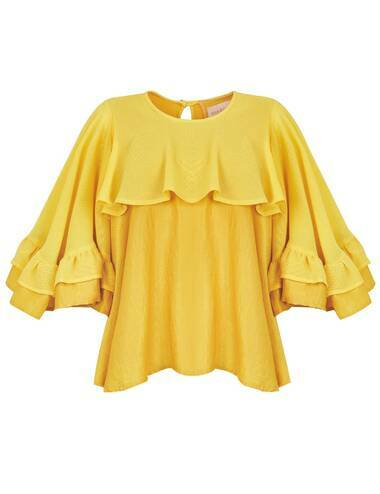 Wide A-shaped women's capes and those with puffy raglan sleeves, decorated with cute ruffles, are a perfect match for a simple skirt or pants. Their loose, comfortable cut will also be appreciated by pregnant women. Women's long vests, reaching to the knees, can successfully replace a coat or a cardigan. POCA & POCA women’s capes are a simple answer to the question of how to be dazzlingly beautiful and feel at ease every day. The secret of the collection lies in the successful combination of universal cuts and colours that suit every woman with carefully selected fabrics and unique accessories that give our outfit a unique character. Both the POCA & POCA women’s capes with fitted waist, ethereal cloaks, as well as simple boleros with wide sleeves and women's long vests make it easy to create an original outfit. They have been designed for women who value timeless class, natural grace and comfortable luxury in every situation.